JHe lives outside of Washington, DC with his wife, Tara Brach and their slightly demented dog. David H Wagner has been teaching meditation and self-empowerment to people all over the world in all kinds of venues for more than 20 years. Classically trained in the Indian wisdom traditions of Yoga, Bhakti, Vedanta, and Tantric Shaivism, his teachings come from his decades of personal transformation and his experience serving others to find their authentic path to deep happiness. 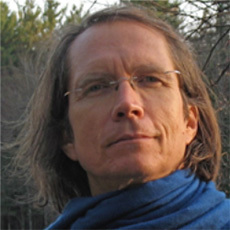 David serves on the faculties of Yogaglo, Kripalu, and Omega Institutes, and travels widely working with people from all walks of life. His teaching style is bold, dynamic, and unique, approachable to students from all walks of life. Most recently, David has taken on the mission of serving the transformational needs of men. He is the author of BACKBONE – the Modern Man’s Ultimate Guide to Purpose Passion and Power. David is a proud father of two and lives with his family outside of Ojai Califorina. with simple, step-by-step solutions to improve their health via a 30-day online program, Change Your Home. Change Your Health. 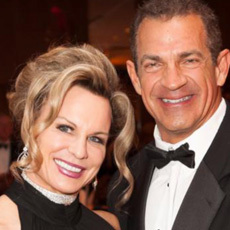 She is the the co-founder of of The Healthy Home Dream Team®. 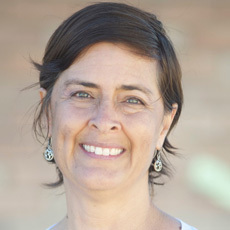 Lisa Beres is the author of the children’s book “MY BODY MY HOUSE” and co-author of “Just GREEN It! (Running Press)” with her husband, Ron. 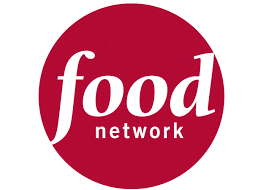 Lisa’s TV appearances include “The Rachael Ray Show,” “Dr. Oz,” Nightly News with Brian Williams,” “TODAY,” “The Doctors” and “Fox & Friends.” Lisa writes for the Huffington Post, Earth911 and Mind Body Green. Shelby Cook is a young entrepreneur from Hamilton, Ontario. She is an upbeat and friendly person who is passionate about eco friendly living and all natural cleaning solutions. She runs her business called Spiffy Naturals where she creates plant based and organic cleaning products. Shelby loves to create new and exciting products and in her off time she enjoys yoga, hiking, golfing and cooking plants based meals for friends and family. Kate is the founder of Living Pretty, Naturally, a natural beauty source that focuses on holistic ways to natural beauty and wellness. Apart from product reviews, Living Pretty, Naturally is also home to a host of beauty-enhancing recipes, eco-beauty lifestyle tricks, natural health information and much more. Currently residing in Norway, Kate is a yoga teacher, a lover of farmers’ markets and herbal teas and tonics. Jodi is a trained natural food’s chef, professional recipe developer, and creator of the acclaimed blog, what’s cooking good looking. Her blog has been a two time finalist for the Saveur Blog Awards in the best recipe and best overall blog categories. She has also developed recipes for Whole Foods, Saveur Magazine, Simply Organic , Zico, Reynolds Wrap, Food52, Prevention Magazine, and many more, and her work can also be found on countless sites all over the web. When’s she not in the kitchen, Jodi can be found riding her bike around NYC dreaming about her next meal or next big adventure. Kara Martin Snyder is the Owner/Strategist over at vital corps, a health + lifestyle studio located at the 3-way intersection of functional health, self-care and strategic action. Her clients have even referred to her as The Poo Whisperer or their Secret Weapon. Kara’s not your run of the mill wellness coach, though. Sure, she’s got the classroom and professional creds that many health coaches have but she’s also got an arsenal of bad-assery stemming from her experience in the boardroom, kitchen, and personal experience with the effects of chronic stress – namely Irritable Bowel Syndrome. 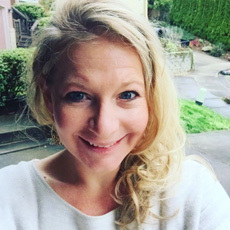 Serving frazzled, Type-A women since 2009, Kara deconstructs the broken processes in her clients’ lives, investigates why they might feel not-so-great, and co-creates actionable steps towards a healthier life – a life spiked with passion and slathered with joy. Her work has been featured in Prevention, the Wall Street Journal and Fortune magazine among others. Forget frazzled and famished, try focused and downright fierce. Visit Kara’s digital home at vitalcorpswellness.com and make yourself cozy today. 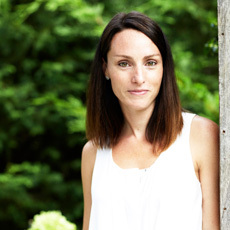 Natasha Uspensky is a certified holistic nutrition counselor, transformational coach, and wellness expert. She practices a holistic approach to wellness, believing that health and happiness come from achieving a sense of balance in all areas of life — from food, movement and environment, to relationships, community and career. Through her private practice, writing, and online programs, she works with women all over the world to heal their health, and start living lives they crave, in a body they love. She is the founder of NU Health & Wellness, and the creator of Greens. Grains. Gorgeous., a transformational 12-week online program. She has been featured in Marie Claire, Rebook, Livestrong, All-Parenting, Giada Weekly, and Mind Body Green, as well as on her own blog, The Organic Beauty. 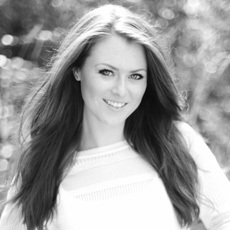 Belinda is a professional beauty therapist who has a passion for toxic free beauty products, health and wellbeing. She has worked across three capital cities, Port Douglas and NSW coastal regions. Most of this career has been spent working with some of the best natural spa products available. Her roles have spanned from beauty therapist to business owner, brand manager, trainer and blogger. With a wealth of experience and knowledge behind her Belinda launched her site Natural Beauty Expert in 2013 to share her knowledge and talk about the best natural products on the market for her readers. Jacqueline has been helping others feel better since 2004 when she began her career as a personal trainer. Her journey then led her to Columbia Teachers College and the Institute for Integrative Nutrition in New York where she earned her accreditation as a certified Holistic Health Counselor. 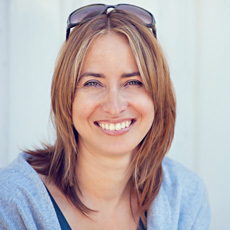 Jacqueline has been trained in over 30 dietary theories from experts in their field. This includes Andrew Weil, Deepak Chopra and Michio Kushi among others. 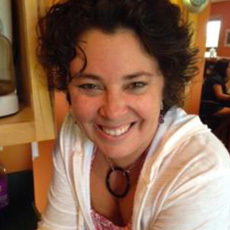 Jacqueline leads her clients to better health through a combination of natural and holistic techniques based on their own individual needs. No one way of eating is right for everybody and having studied so many ways of eating Jacqueline can help you navigate through all the buzz and help you find what works best for your body and your specific health situation. 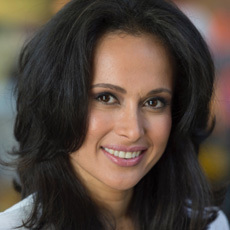 Dr. Romie Mushtaq, M.D., ABIHM, is a traditionally trained neurologist with additional board certification in integrative medicine. Dr. Romie helps individuals and audiences learn to heal from stress-based illnesses such as insomnia, anxiety, and career-burnout. Her innovative program, Mindset Matters, is based in neuroscience, positive psychology, and mindfulness.Dr. 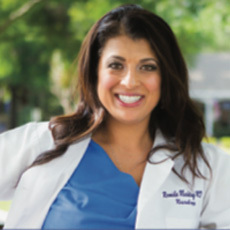 Romie completed her medical training at the Medical University of South Carolina, University of Pittsburgh Medical Center and the University of Michigan where she won numerous teaching and research awards. She previously served as faculty at the Medical College of Wisconsin. After surviving career burnout and undergoing life-saving surgery, she traveled the world learning various yoga and mindfulness techniques. Dr. Romie is a media expert analyst and regular contributor in national and local media outlets. 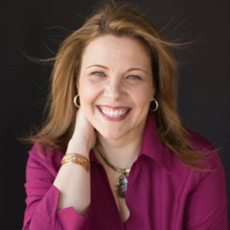 She shared her journey in a TED Talk is “The Powerful Secret of Your Breath.” When not speaking around the country, she heals clients at the Center for Natural and Integrative Medicine in Orlando, Florida. Dr. Kara Zajac is a chiropractor, freelance writer, mother of a daughter, wife, entrepreneur, musician, and die hard romantic. She received her B.S. degree from the State University of New York and in 1999 earned her Doctor of Chiropractic degree from Life Chiropractic College. In 2002, Dr. Kara opened her own private practice in Dawsonville, GA where she continues to help people lead healthy, happy lives. She keeps people laughing with her blog, The Significance of Having Curly Hair and recently completed her first manuscript, The Significance of Curly Hair: A Memoir of Life and Loss. Dr. Kara’s work has been published in Imperfect Life Magazine and Ripped Jeans and Bifocals. She is a member of the Creative-Writing-Workshop as well as the National Writers Union and resides in the North Georgia Mountains with her wife, Kim, and daughter, Senia Mae. Dr. Kara can usually be found at home in the kitchen and enjoys sipping wine while hanging her feet off the dock. Wu Tao was developed in 2001 by Michelle Locke a West Australian ballerina and natural medicine therapist. After a back injury ended her dancing career, Michelle embarked on a journey of self discovery and healing. She studied shiatsu and oriental medicine and founded the Shiatsu School of WA. In 2000, after her second daughter Isabelle became seriously ill and was later diagnosed with Rett Syndrome, Michelle began her research into how to use dance for healing. Weekly classes in Wu Tao are now held all over Australia, in many metropolitan suburbs and country areas, New Zealand and the United Kingdom. Wu Tao teacher training is currently being offered in the major Australian State Capitals, New Zealand and other major international cities. Myriam Llano is a holistic nutritionist and wellness coach, as well as a wife and mother who became an expert on the relationship between women, food and emotions while on her own quest to discover how to heal herself and her life. Myriam now teaches women globally about spiritual nutrition – what it is, and how can it help you nourish your whole self by bridging the gap between you and food. Myriam takes her clients through a detox program that incorporates and in effect purifies all four elements of a woman, which she has developed and trademarked, called “The Divine Renewal Program”. Myriam’s sessions are informative, engaging, and provide you with practical and sustainable solutions for restoring wholeness through your relationship with food in a way that not only helps you look and feel your best, but that also supports you in leading a more fulfilling and authentically self-expressed life. Dr. Michele L. Neil-Sherwood, Doctor of Osteopathy (DO), has had a successful private practice since 2002. In her practice at the Functional Medical Institute, she adopts a whole person approach, which is outcome based looking at each individuals unique needs. Her aim is to obtain the highest level of function, and maintain it through a multi-disciplinary collaborative approach. Dr. Neil has been certified and trained in numerous healing modalities and understands the importance of: nutrition, medical food & supplementation, exercise prescription, rest, stress management, hormone balance and the Functional Movement. Dr. Neil has an extensive fitness and athletic background. 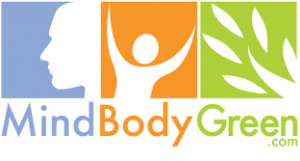 Dr. Mark Sherwood, Naturopathic Doctor (ND), is the founder and president of Live4E. He also has a full-time naturopathic practice in Tulsa, OK at the Functional Medical Institute. His activity DVDs and full line of nutritional supplements are the highest quality and are sold around the world. 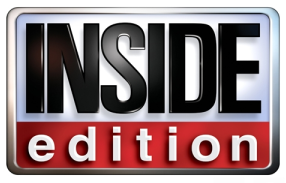 Dr. Mark is the host of 4E TV, a weekly television program airing on three networks. He is a former Oklahoma state and regional bodybuilding champion, ex-professional baseball player and a 24-year retired veteran of the Tulsa Police Department, where he logged a decade of courageous service on the department’s SWAT Team. 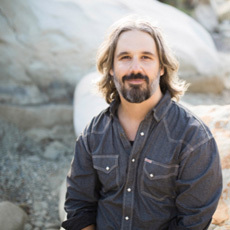 Mark’s passion for wellness motivated him to develop several wellness based courses, which he teaches to law enforcement professionals, corporations, and churches throughout U.S. and worldwide. He firmly believes that “each person has an awesome destiny and purpose in life, which can be revealed only through the pursuit of total wellness.” Mark is a motivational speaker whose presentations are sought by audiences nationwide. His passion and experience for total wellness make him a versatile role model for people of all ages. 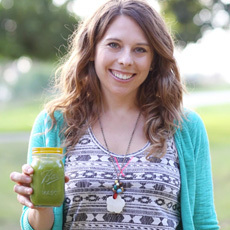 Jen Hansard is the co-founder of SimpleGreenSmoothies.com, the #1 online resource for the green smoothie lifestyle. She and her friend and co-founder, Jadah, host the wildly popular (and free) 30-Day Green Smoothie Challenge, where more than 1 million people have embraced their simple and healthy habit. 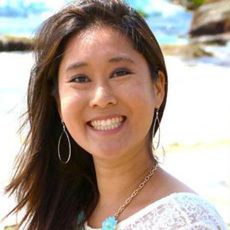 Dr. Emily Chan ND received her doctorate of Naturopathic Medicine from Bastyr University, and holds an undergraduate degree in biomedical sciences and music. 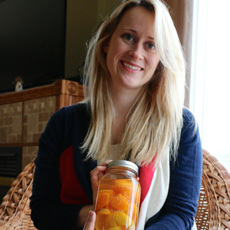 She has interned at the Functional Medicine Research Center as well as the Emergency Department at Evergreen Hospital. She currently practices in San Diego, CA and consults around the world. She specializes in chronic medical conditions that have an emotional component to them and addresses the immune/nervous system and physiological relationships in treating her patients. She frequently works with mood and behavioral issues, endocrine disorders, autoimmune disease, and gastrointestinal disorders. She is published in medical journals, magazines, speaks at medical conferences training doctors, and has appeared on television. You can see her health videos on her You Tube channel: Dr. Emily Chan ND. She also authors and teaches health, and neuro-reprogramming courses. under and the current Executive Director of The People Project, 8 years in the making; a movement of queer and trans folks of color and our allies, committed to individual and community empowerment through alternative education, art activism and collaboration. A public researcher and human rights educator, she shares over 80 unique resources and presentations as well as delivered hundreds of workshops around race, gender, power, privilege, consent, creation, food and entrepreneurship. Kim also engages in community based healing initiatives including teaching Queer and Brown Girls Yoga. 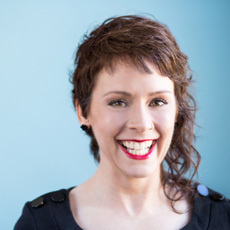 Vikki Spencer is a mom coach, speaker and author of Momifesto: A Manifesto of 9 Practices for Phenomenal Moms. She inspires moms at every stage to be their most phenomenal through strategies that are practical and that work. She helps moms discover their personal resources to create lives they love and care for their families. Find Vikki at her site, on Facebook, and Twitter! Dan is a highly sought-after international speaker on topics including positive psychology, positive education, and positive psychotherapy. 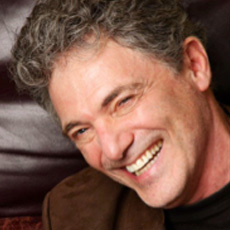 He teaches Positive Psychology in the graduate program of Counseling and Clinical Psychology at Columbia University, Teachers College and holds a PhD in psychology, an MFA in writing, and is the first licensed psychologist and psychodramatist to graduate from the Master of Applied Positive Psychology program from the University of Pennsylvania in 2012. He is on faculty at New Jersey City University and is an assistant instructor for Martin Seligman, The Father of Positive Psychology, at UPenn for the MAPP program. He has also been a trial lawyer consultant, and developer of the Dare to be Happy experiential workshops for Kripalu. Recently he became Director of the New York City Certification in Positive Psychology for the Open Center. He writes for Psychology Today as an expert on group therapy (The Healing Crowd) and authors the daily column, Ask the Therapist, for PsychCentral.com and their Proof Positive blog on practical applications of positive psychology. Honored by Sharecare* as one of the top ten online influencers on the topic of depression, he joined the staff of Answers.com as their depression expert and writes their Healthyway Blog. He is the creator of Interactive-Behavioral Therapy, the most widely used form of group therapy for people with intellectual and psychiatric disabilities. His new book: American Snake Pit, a memoir about his involvement in deinstitutionalizing the residents of Willowbrook, will be published by Stillhouse Press in 2018. *The website was launched in 2010 by Jeff Arnold, founder of WebMD, and Emmy–award winning host, Dr. Mehmet Oz, in partnership with Harpo Studios, Sony Pictures Television and Discovery Communications. Alexandra Hughes is mother to 3 children, wife to an ever traveling husband, writer, business owner, mindfulness teacher and internationally renown Life Coach. After having experienced nervous breakdowns and identity crisis after identity crisis as both a stay at home mother and a working mother, she finally found her true calling supporting mothers to manage stress and overwhelm. Today she lives her passion, helping mothers to navigate the stressy messy motherhood journeys mindfully and to find calm in the chaos of their busy lives. She has worked with hundreds of mothers from around the world, helping them to find balance, joy and self-empowerment. She hosts a free Clear Mind | Present Mama Challenge for busy mothers suffering from overwhelm, offers on-line Calm Mom Coaching Circles to mothers who lose it just a little too often for comfort, and she works one-on-one with a small group of women through her Mama in JOY Mentorship Program. 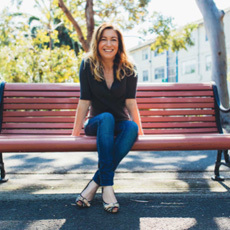 Prior to becoming a coach, Alexandra dedicated 18 years of her professional career to social change as an international development researcher and practitioner. She’s lived and worked in Africa, Europe, South and North America, and speaks English, French, Portuguese and Spanish. Alexandra loves her coaching projects second only to her mischievous and vivacious children and her husband who now (after three international moves!!) live, love and laugh together in Washington D.C.
She is with me today to talk about stress, how it manifests in mothers’ lives and ways we can manage it with ease (and without creating another ‘to do’ on our list). Book your free consultation with me to discuss any blocks in your life. I’ll analyze the blocks and come up with a plan to get your groove back on track, Mama. Hop on a call and let’s discuss your divine makeover. It’s time to have everything you desire.